Certain websites that are very useful for students, teachers and others alike are often blocked by our local government, internet service provider or if you are accessing internet over your school or college WIFI, then they also at times tend to block access to certain useful websites. Mostly websites that fall under categories such as video sharing, gaming or other social networking sites are blocked by these sources. Very rarely, even website owners block their websites from being able to accessed from certain location, mostly if their websites contain sensitive information. These are the times when proxy websites out there comes to our rescue. The main advantage of using proxy websites while browsing over the internet is that it not only allows you to bypass restrictions laid down on certain websites, it also helps you maintain your anonymity over the internet so that no third party or even hackers can find details related to your personal information or location. There are a lot of proxy websites out there that lets you bypass all the restrictions laid down by either your government, internet service provider or any other sources by masking the IP address of your system. However, most of the proxy tools available online are paid ones, which means you will need to pay before you can access the proxy services of these websites. Even though you may even come across several free proxy websites out there, most of them aren’t safe. Even though such free websites allow you to bypass any restrictions on any website, most of the time you end up sacrificing your personal and sensitive data to such websites, which can be very dangerous. Many such websites also have malwares embedded into them so they affect your computer whenever you use such unsafe proxy websites thus keeping a track on all the online and offline activities that happen on your computer. 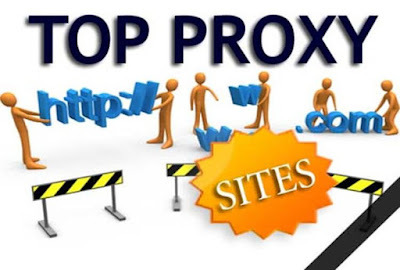 If you are out there in search of the free yet safe and most user friendly proxy websites, then today we are here with a list of over 100 proxy websites that can help you when you need them the most. Hope you found this article with the top 100 free proxy websites helpful. In case you did, do share this awesome list with your friends so as to help them find the best free proxy websites out there.